How to Whiten Your Teeth Using Home-Made materials: So many people today are ashamed of laughing with people outside due to the color of their teeth, some no longer show their teeth on a selfie pictures because the teeth is brown in cor. Someone I know whom I was telling to smile with me on the graduation day selfie pictures refuse because his teeth is not encouraging and could spoil the beauty of the pix, until one day I happened to visit him at is place, then he laughed at a joke I cracked. I was surprise to see him laugh louder, the I asked him why he doesn't laugh like this out side, He said his teeth is black-brown in color. Then I introduced this method on how Whiten Your Teeth Using Home-Made materials to him, but before the remedy begins, I told him to take a selfie with me, which he did, then after three weeks he called me by himself to come and take any amount and number of selfie pictures that want. To my greatest surprise his teeth is now whiter than that of a new born baby. When she smiled at you the other day and you felt electrified, what was it about her smile that rattled you? Psychologists have stated that a good smile portrays a great first impression to outsiders, and this impression can surely be enhanced if the individual possesses sparkling white teeth. While sparkling white teeth comes naturally for some folks, others have to go through expensive procedures to get the same result. However, unknown to many, colored teeth can actually be whitened using some simple home materials and methods, without the need for spending large sums of money in Dentistry. I guess you’ve probably heard of this one before. Baking soda, otherwise known as Sodium Bicarbonate, is mainly used in baking. However, due to the alkaline nature of this compound, it is also applicable as a teeth-whitening agent. To whiten your teeth using baking soda, simply purchase a small tube or bottle of baking soda powder. Take a scoop using a teaspoon, and mix it with a few drops of water to form a paste. Now, using your toothbrush or a piece of cotton wool, apply this soda paste on your teeth, as you would your normal tooth paste. Scrub and brush the teeth for about five minutes, and rinse with warm water. To avoid corrosion of your teeth enamel, it is advisable to do this only once in a week, or at most thrice in two weeks. Also note that this does not take the place of your regular brushing regimen with your toothpaste, so you must still brush your teeth with a healthy toothpaste after using the baking soda and at every other time. Most times, initial whitening can be noticeable after the first wash; while at other times, whitening becomes visible after some weeks. Whichever your case is, this method surely pays dividends on the long run, but it may not be the option for you if you’re looking for a quick fix. In recent times, there have been debates regarding the potency of the peel of banana fruit in whitening coloured teeth. Banana peels are considered an option as most of these claims have been verified. The peel of ripe bananas typically contains rich minerals like manganese, potassium and magnesium, which are believed to be very potent in exterminating tooth stains. This option is also widely preferred because it is milder on the teeth – much unlike other whitening options – has no side effects and there can relatively be no over-dose. To whiten your teeth using Banana peel, purchase a bunch of bananas – ensure they are just ripe, but not black. Peel off a single strip from the sides, and rub the inner part of the peel on your teeth until they are covered in a cream-coloured paste of banana extract. Leave this banana covering to stand for about ten minutes, with your mouth open and your lips not interfering. Afterwards, use your toothbrush to gently scrub and brush your teeth for about five minutes. Afterwards, rinse your teeth and maintain your normal brushing regimen with toothpaste. Banana peel is mild enough to be used every day. However, it will not give instant results; but consistency in the process yields results in the long run. Lemon primarily contains an acidic substance called Citric acid – which is equally found in all citrus fruits. The use of lemon as a teeth whitener has been the subject of controversy in the past; but scientists have in recent times, proved that the citric acid contained in lemon is an effective whitener. However, due to its acidic nature, the use of lemon alone as a teeth-whitening agent may be detrimental to the teeth. Several people have experienced erosion of their tooth enamel, due to unregulated and improper use of lemon. Meanwhile, other people have used it and achieved marvelous results. 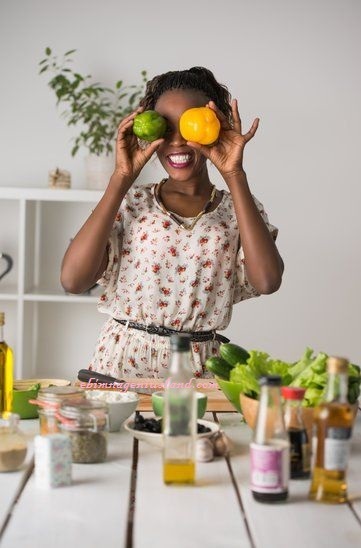 To get the best results on How to Whiten Your Teeth Using Home-Made materials: lemon is to be used in combination with either salt or baking soda. Either of these two supplements tone down the acidity of the lemon, making it more bearable to the teeth. To use lemon as a teeth whitener, simply get a small lemon fruit, and squeeze out the lemon juice into a small container. Take out a teaspoonful of the juice, and add salt or baking soda in such a way that the mixture forms a thick paste. Most times, an improvement in teeth color is visible after the first wash. In some cases, it comes after a number of weeks. It is important to note that this recipe should not be done daily, to preserve your enamel. Once in a week or thrice in two weeks is a good routine option that will surely yield dividends after a few weeks. Also, for any of the methods described above, you could take a photograph of your teeth before you begin the process and take another some weeks after, so as to check for improvements and track progress.